You have said, with both your license and your argument, that you are more comfortable competing in a world where people agree never to compete with you using your software. The open source community experience is that competition is a good thing, and that by living the mantra "the one with the best code wins", we do, over time, all win. As engineers, the founders of the OSI saw value in codifying the rules that made this new development model so successful, and since we saw that permitting commercial exploitation was very much central to many early commercial successes, we codified that througout the OSD, particularly OSD #1 and #6. In particular, we believe that just because a conventional venture capitalist with a mandate to "invest in open source companies" does not understand how the open source model works, and just because your paycheck now depends on you sharing that non-understanding, doesn't mean we should change our codes or change our advocacy about what open source really is. History is full of events based on decisions to either see reality as it was and adjust accordingly or to attempt to bring reality into conformancy with orthodoxy. 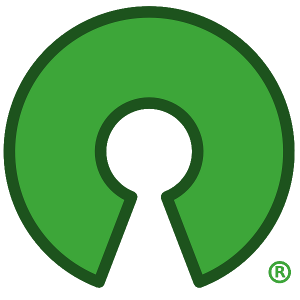 One huge difference between the free software movement and the open source movement is that the FSF began with orthodoxy that proved remarkably successful as both a development model and a comemrcial model. The OSI began much later with a whole bunch of evidence and tried to discern the rules that explained that evidence. The FSF may have got the orthodoxy wrong, and the OSI may have got the interpretation wrong, but we both agree that prohibition of commercial use without special permission is antithetical to both positions. As an aside, it is astonishing to me that the mainstream press gets it completely backward in that they endlessly report as if profit and commercial success is antitheical to either free or open source software. But I digress. The main point is that the casual hybridization of proprietary models and open source (or free software) models is as sensible as the proverbial screen door on a submarine, or my brother's facetious invention: the cordless parachute. Time will tell. I hope that your experiment with Team Elements is a successful one, like IBM's experiment with Eclipse.org proved to be (to name one of many bold experiments). It is my opinion that after 5+ years, Microsoft's Shared Source initiative has achieved nothing like what we have achieved in the open source community, and not because they are Microsoft. It is because their asymmetrical bargain is not sufficiently attractive to a community that has better offers available. Does Intel Capital have deep enough pockets to ride out this difference? I don't know. But I don't think that borrowing a term from our community to apply to something our community doesn't accept is good for you or for us. I'd prefer you coin a term like "Centric Source" and define it however you like. Link to Dana Blankenhorn's "Little Red Hen"
Dana Blankenhorn also started a new thread in this direction with his posting Little red hens of Open Source. I can imagine a lot of VCs and entrepreneurs going to bed at night and thinking of themselves as Little Red Hens, and thinking that software is no different than grains of wheat or loaves of bread. But as Lessig made so abundantly clear when he launched the Creative Commons and told us that there's something different about an idea [insert lightbulb icon] and a cow [insert cow icon], and that a legal regime that treats both identically is flawed. (And to give credit where credit is due, our research page links to Carliss Baldwin's paper that worked out the game theory to prove it.) What Dana's post tells me is that I need to write a children's book that employs cute, identifiable animals teaching open source, not proprietary values. I cannot wait to blog about this at my new parenting and technology blog, (parent . thesis). And maybe I can give my daughter a head-start on understanding Nash equilibria to boot. Wow, where to begin. You make a host of good points and, in fact, I probably agree with a majority. To begin with, it's obvious that we share many common goals, three important ones of which are great software, total transparency of code, and control for end customers. But not all. So, while differences exist we are more alike than we are different. I'll go even further; while the powers-that-be at the OSI might not think so, we actually see ourselves as only a different denomination of the same, basic religion. That religion being open software – now almost generically referred to by the uninitiated as open source. To follow this analogy a bit further, the interesting situation is: If the OSI wants to claim itself to be the established church of such a religion, we'd like to belong. Honestly. But we're unable to if our core needs and rights are not respected. One of these being as fundamental as what we can call ourselves. The use of vocabulary (icons, if you will) matters – the obvious historical example being the split of the Orthodox Church from Rome over just such an issue. So, if the OSI wants to include others in its church, it's in your power to control that. What you can't control and call your own is the name of the underlying religion, any more than Catholics could bar Protestants from claiming themselves to be Christians, or Sunnis could keep Shiites from being Muslims. IMHO, all had equal claims. (Editorial aside: the fact they're often killing one another over the same might be a lesson we take to heart) But let me comment specifically on a few of your points: You say: “The open source community experience is that competition is a good thing...” and then effectively refer to that competition in terms of engineering and code. You finish by saying, “The best code wins”. (A bit of a friendly dig here, but the dominance of Microsoft might suggest otherwise. Might we amend that to say, “It would be best if the code that wins is open”?) We value competition at both the global and market-specific level as much as anybody. Our collective wealth as a society depends on this -- no Marxists in these households. We perhaps see competition more broadly and believe it has dimensions that are as important as just the way code is licensed. Competition must (and does) apply to all aspects of business. Commercial cooperation and collaboration are just as central to the notions of competition as the way a bunch of bits are licensed. And here's the rub: one of the attributes of licenses you're compelling us to use greatly ties our hands in our ability to form commercial relationships. You guys may not see this as an issue. I can assure you a significant group of open source application vendors disagree. Who knows, maybe you guys are right over some long period of time. But that's not your call to make. So our limiting of redistribution, which you see as a tactic that stifles competition, we see as a legitimate tactic to build a cooperative environment that nourishes us in our ability to compete. And personally, we're not worried about competing with SugarCRM. I hope they do really well. If they do, the tide for open source rises for us all. The collective market share of all open source application companies combined (regardless of how you define them) is smaller than what Ellison and Balmer waste on golf junkets, boats and booze for their buddies. The competition shouldn't be amongst ourselves. It's with them. And to your point about building a community, we agree with you; we have a healthy, growing community of mature contributors to Centric. They include both individuals and large organizations. But we work together because it's in our mutual interest and it's codified in a contract. Not only because a license forces us to. You say: “The main point is that the casual hybridization of proprietary models and open source (or free software) models is as sensible as the proverbial screen door on a submarine”. (BTW, nice visual, and kudos to your brother). I'm not sure you're right, though. You might be. You might not be. We're more circumspect and, I guess, believe that nuance almost always matters. To wit, are there any areas in life that are so black and white as you seem to suggest? At a simplistic level, I personally don't know if there are. I can think of few maxims that are so absolute that in a discussion (of lawyers) a good old fight won't break out. For example, the taking of human life by another. Generally, reasonable people will agree that killing is a bad thing – we even have a policy about that here. But if my only choice in joining a society was to agree that ALL killing was immoral, I'd have some issues signing on that dotted line. As would a majority of Americans. Most nation's laws allow for a more nuanced approach and thus take special circumstances into account – with killing, self-defense being the obvious case. So my point is, if nuance is appropriate in even such an extreme case, perhaps the hybridization that you worry about at some appropriate level isn't all that bad. It could be that the evolution of open software, and the economic forces that should ultimately come into play for some classes of it, require an approach other than which the current OSI definition allows. Is it even remotely possible that the Ten Commandments of the OSI regarding its definition could require amending in order to be appropriate for? Personally, to think otherwise is almost the definition of being reactionary. Or non-open (minded). Regardless of opinions, what is obvious is that a large faction of open source application vendors believe that a better approach to redistribution is warranted. You say: “Does Intel Capital have deep enough pockets to ride out this difference?” Now that's just plain not fair, throwing out the investor FUD thing so early in my relationship with them :) So a disclaimer: the nice folks at Intel Capital bear absolutely no responsibility for either the foolish or patently foolish things I might say as the CEO of one of their portfolio companies, now, in the past, or in the future. You also say: “...just because a conventional venture capitalist with a mandate to 'invest in open source companies' does not understand how the open source model works, and just because your paycheck now depends on you sharing that non-understanding, doesn't mean we should change our codes or change our advocacy about what open source really is”. Wow. A lot to react to. (As an editorial aside, I should say that it's statements like that that polarize discussions.) That said, we're not asking you to change anything you're doing. The beautiful part of our system is you're free to do what you want within the rights our legal system prescribes. So evangelize all you will. Next, I can only assume, by inference, you're referring to Intel given that I'm referred to in the latter part of that very long, compound sentence. I have neither the intent nor the authority to speak for Intel. I can factually note, however that it was that “non-understanding... conventional venture capitalist” that was an early investor in the same company that writes your paycheck today. Hey, we're cousins! More seriously, I can't believe you're suggesting that Intel is not a valued, corporate contributor to whatever it is we call this movement. And finally, with respect to me, pejorative observations such as the “paycheck” thing aren't really very effective if only because those who know me best, like my wife and kids, frequently suggest much worse. But simply as a factual matter, I started this firm in 2000 when I paid myself and a number of others. We had the same vision then. Further back still ('96?) I introduced your employer's founding CEO (Bob Young) to his initial, substantive outside investor. And it wasn't a VC. They came in later after the open source model was clear. (The thanks I got – other than a great friendship with Bob and the investor – was to have my name misspelled in his book. So much for my 15 minutes of fame). Though I so hate hubris, my current partners and I don't feel we need to take a back seat to you or anybody else in terms of either our experience with, or love for, open source software – by whatever standard you put on it. Where we differ is in our approach. And perhaps in our tolerance for diversity and the value that such diversity might ultimately bring such a religion. Having said all of that, I'd be happy to continue such discussions at OSCON or elsewhere. I believe the OSI has a wonderful opportunity to continue being relevant and helping to lead the movement forward. If, however, y'all choose to define your denomination of this religion in a way that we don't fit in, that's fine. No hard feelings. It's your choice. You'll ultimately be excluding a large congregation and we for one will continue trying to build a church made up of others like ourselves. David, I really appreciate your efforts to engage this discussion. Since you are a CEO, I know that revenue is your top priority, so I want to respect both the time you put into this conversation as well as the time I know you need to put into your company. As to "the best code wins", I think that Microsoft proves my point, rather than disproves it. As to the question of limiting who can compete, the best example I can think of forces me to break one of my editorial rules, which is to mention Red Hat in this blog. The day that Oracle announced "Unbreakable Linux" was the day it became perfectly clear that Red Hat was "all in" when it came to the Open Source Definition. Red Hat's one word response, "Unfakeable" was fitting on many levels. And I believe that Red Hat is the better for its competitive, rather than defensive response. A different CEO might have made a different decision when faced with such a challenge, as might you. But to me, the decision we made was a defining decision, not only for Red Hat but for the authenticity of what I call "open source". As to the question of nuance and hybridization, let me say that one of the reasons why the OSI has taken a position on not restricting commercial exploitation by other parties (or for fields of use) is precisely because we did not want to put ourselves in the position of arbitrating who could do what under what circumstances. Let me explain with an example. We get letters from self-identified Quakers at least once a year saying "I just learned about open source and I love everything I've read so far. However, my beliefs forbid me from writing software that can be used to kill others, and if I put a prohibition that 'This software cannot be used in land mines', that violates OSD #6. Therefore I cannot write open source and remain true to my beliefs." And we tell them "you are right: you must choose which belief you hold more dear." I believe the same question applies to your situation: if you believe it is more important to foreclose the possibility of random competition than to remain open to its unexpected benefits, then you have chosen a model that is not, in its essence, open source. The Big Tent argument is a good one in general, but no prohibition against commercial use is a very large pole in the tent, and the collapse that would ensue from its removal would not go unnoticed. You are right to call my on polarizing rhetoric, and that was a mistake because it obscured the far more important points I was trying to make. I should not try to infer your motives or belittle your perspective, but rather stick to my own experience, perspective, and advocacy. I apologize. That said, I do believe that we agree on the scope of the question, which is that you want to see the definition of open source expanded to contain your behavior, and I believe that our definition (which has given us cause to approve at least 58 licenses and have more still under review) is already ample in its scope to cover what is considered "open source". Where you are using an OSI-approved license, such as the OSL, by all means promote that as open source--you have my support! But where you do not, I think that the use of a new term with a clean definition, such as "Centric Source" would be the cleanest way to represent your hybrid position. I look forward to meeting you in Portland! Michael, Thanks for the opportunity to share viewpoints on this subject and I look forward to continuing it at OSCON. I very much appreciated your reference to the Quakers' quandry and think that accurately reflects the essence of the discussion -- organizations genuinely trying to fit a complex, and often conflicting, set of issues into an approach affecting many stakeholders. It's not easy. We've always known the OSI is sincere in its beliefs; you passionately promote a cause that advantages many and that we oursleves support. Similarly, at a minimum we'd like those who don't know us to not assume the worse. There are always a (small?) minority of people and organizations who will abuse anything. I personally believe the world is more made up of those like ourselves who want to find a way to work together, but when you can't, to at least find a way to peacefully and productively coexist. Living in Norfolk, Virginia, a home to literally 10's of thousasnds of service men serving in harms way, we are constantly reminded of the real human cost when reason doesn't overcome dogma, and the statesmen loose control. See you in a few weeks.